Best, Moist and Delicious Rhubarb Muffins! 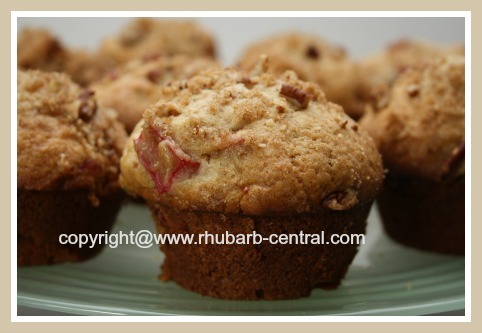 This Fresh Rhubarb Recipe for Muffins make the best, moist delicious rhubarb muffins that everyone will love at first taste. You can also make them using frozen rhubarb if that is what you have on hand. I found this old rhubarb recipe which I had in my recipe box for many years, but never actually made it - until now. 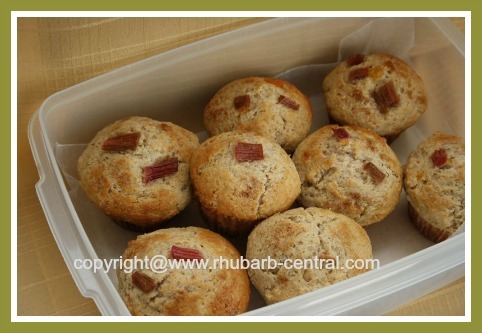 With the first of this year's fresh rhubarb harvest I finally made these muffins - and I am sure glad I did! 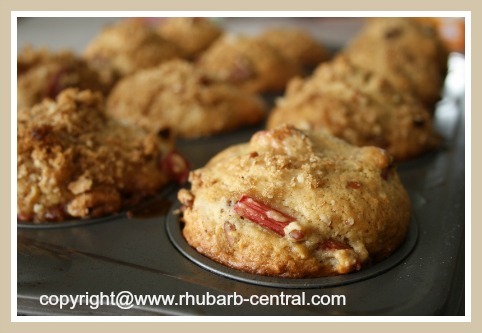 These rhubarb muffins are simply scrumptious! 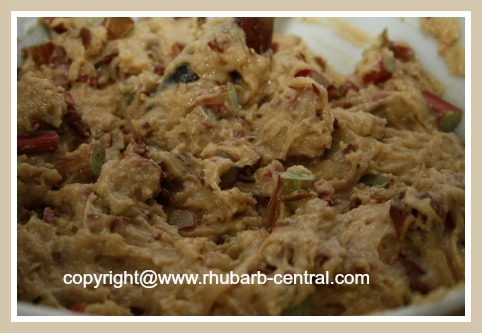 If you are looking for an idea of what to make with rhubarb, you have just found the answer to your rhubarb question! Note - If you are using frozen rhubarb for this recipe for muffins, thaw the rhubarb the night before in a sieve, over a bowl, and discard the excess liquid. Rhubarb Muffins Freeze Well Too! Bake at 375 ° for about 18 - 20 minutes, or until a toothpick inserted in the center comes out clean. Cool for about 10 minutes before removing the muffins from the pans. Allow to continue to cool on a wire rack. 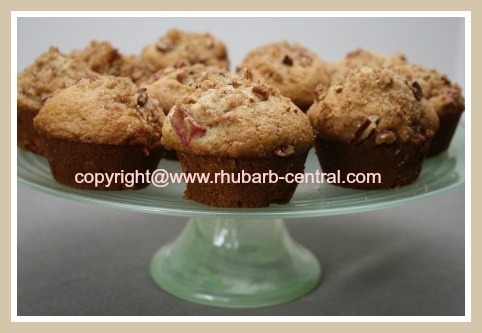 Makes 18 (large size) of the best of the best rhubarb muffins!